Say hola! to the first SUV from Spain. The Seat Ateca is unveiled today, prior to taking its public bow at the Geneva Motor Show on 1 March under the banner of: agility and driving fun. A compact SUV with a passionate and hot-blooded side perhaps? 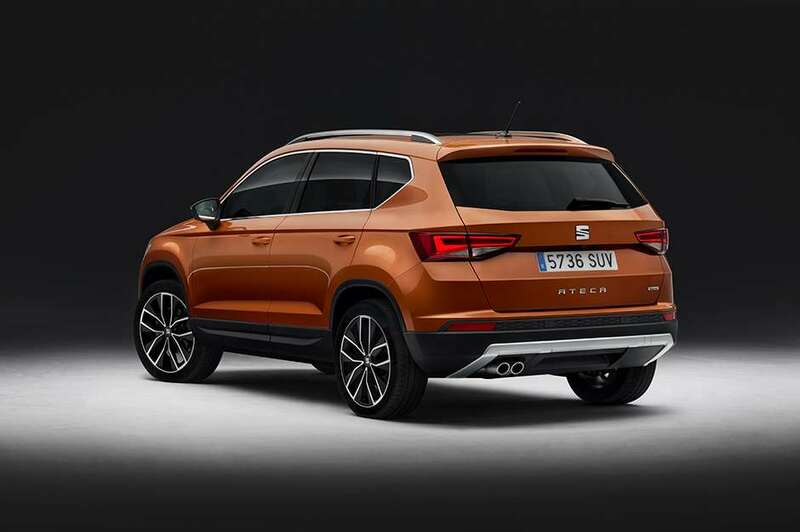 It’s true that SUVs don’t usually hail from Mediterranean countries and Seat is proud of the fact that the Ateca’s design and manufacture are all solely a Spanish affair, despite the inevitable parts-sharing with the VW group’s modular architecture. But Seat’s stall is laid out these days on sparkling dynamic ability and that’s the promise with the Ateca. It’s all a million miles away from Spain’s previous 4×4 offerings. The country’s previous claims to 4×4 fame have centred on Spanish-built versions of the Land Rover Defender and various Suzukis (remember the Santana?). Seat did put a foot in the water in 2007 with the dreary Altea Freetrack crossover but since then… zilch. Which is a bit of a mystery because as visitors to Spain will know, they love their SUVs there as much as anywhere. So the Ateca – it’s named after a region of Spain – isn’t just well overdue, it has a big job to do in giving the brand an image boost and catching up with rivals – chiefly the Nissan Qashqai, the car to beat in this market. First sight says it’s well equipped to carve out a chunk of the ever- booming SUV market. The Ateca is very similar size to the Qashqai, boasts a similarly chunky yet refined design, and, though prices are not yet known, will probably match it pound for pound. When UK sales start later this year you will be able to get front or four-wheel drive versions, and manual or dual-clutch DSG transmissions. The engines are all turbocharged, sup either petrol or diesel and embrace 115 to 190hp. What, no 290hp Cupra version? Alas not. So what is Spanish SUV ‘driving fun’ based on? The Ateca, asserts Seat, is lighter than its rivals and has a suspension tuned for a dynamic ride: ‘We will surely set a whole new standard within the segment with the Ateca’s light-footed, precision handling, demonstrating amazing capabilities both on- and off-road,’ said Seat R&D chief Matthias Rabe at the car’s unveiling in Barcelona. Other attractions? LED headlights, 510-litre boot (seats up), latest connectivity features, 8-inch touch screen and driver assist systems including lane-keeping and the handy ability to drive itself at low speeds in traffic jams. Time will tell if all that is enough. One thing for sure, the SUV club is one that sporty Seat just could not afford to be outside for a moment longer.